Staircases | Alternating Tread Staircases | Spiral Staircases | Staircase Regulations | Stair Terminology | Staircase Ideas | Where Do I Start ? 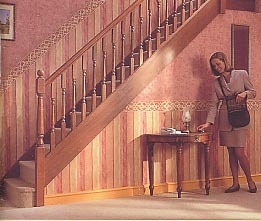 How to Measure your Staircase .. 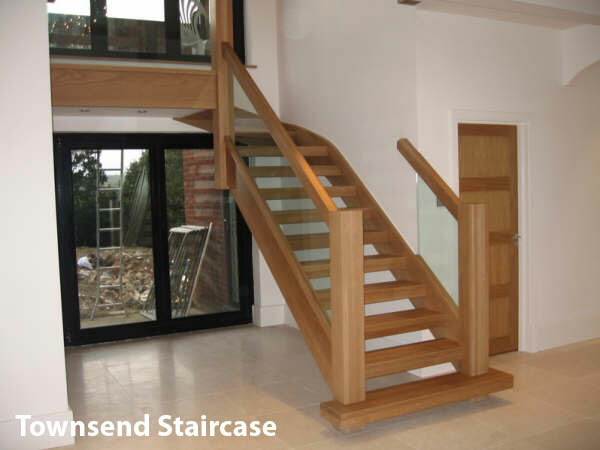 Choosing your entry step detail is a very important part of your staircase it is going to be the most focal point of most staircases and in most homes it is the first thing people see when they open the front door. 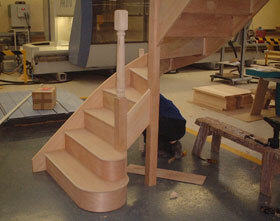 This Staircase has a Double Depth curtail entry step. This is what we call a double curtail entry step these can look very impressive but these cannot be used in a narrow hallway. 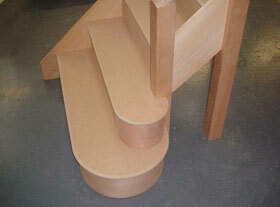 The bottom step is a Double Go Curtail step and the seconde step is a Single Go Curtail step ( or what you would class as a standard Curtail step). 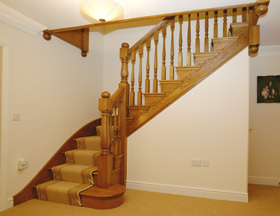 This staircase has a Bullnose entry step this is by far the most popular of the entry steps and we usually recommend this as it not only makes your hall feel more spacious by setting the newel post back one step but it also adds strength the the bottom newel post.